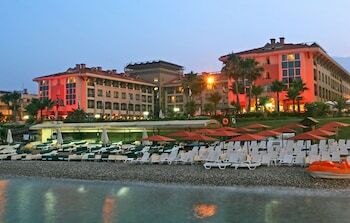 Located in Kemer, Fame Residence Kemer & Spa - All Inclusive is near the bay, within a 5-minute walk of Kemer Merkez Bati Public Beach and Liman Street. Featured amenities include a business center, express check-out, and dry cleaning/laundry services. Free self parking is available onsite.